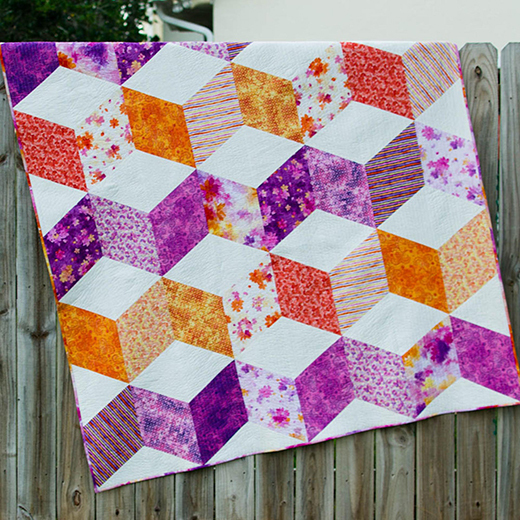 This Sparkle Quilt design is a modern take on the classic Baby Blocks quilt layout. Except baby blocks quilts have Y-seams. This Quilt designed by SewCanShe, The Pattern is available for free.